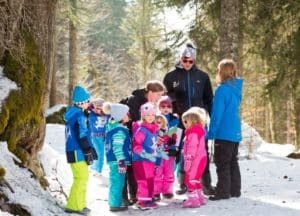 Looking how to make Family Skiing Holidays Affordable? A family skiing holiday is a hugely rewarding experience and everyone is unique as children grow and develop their skiing skills, each year providing its own lasting memories – like when they couldn’t keep up with you for example. Nevertheless it can be a substantial investment for many families. We don’t know a way of making it cheap but we can offer some tips on how to make skiing with a family more affordable. Here is our check list along with some of the things we offer with an eye to affordability. This is the single biggest factor in keeping costs down. 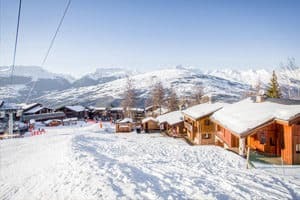 The pressure on good quality skiing accommodation suitable for families at peak times is immense and there is no escaping the fact that prices are commensurately higher. A great advantage of skiing with pre-school children is that you can take advantage of off-peak weeks. The snow will be as good, often better, the slopes and restaurants less busy and you will also benefit from lift pass reductions. It is of course a very individual decision but we have always taken our children out of school unless it was not sensible. If you can avoid the peak weeks, do – at Family Ski we keep the first week of the season a special bargain and mid/late January is another time where conditions are likely to be as good as they get in the season but at much more affordable levels. 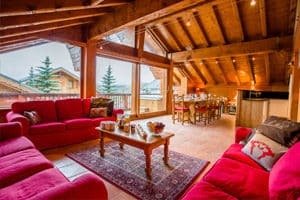 Room Supplements: The prices of all rooms are the same in each Family Ski chalet including balconies, private bathrooms, hot tubs and whatever else is there. A modest-looking nightly supplement for any of the above can add up so be clear on what you are getting. Wine at dinner and perhaps an aperitif or two can add considerably to a weekly hotel bill. At Family Ski you can help yourself to wine whenever you want – none of that taking the bottles off the table when coffee is served. If you want to upgrade your wine it will be at a cost comparable to the UK supermarket price per bottle and the honesty bar has beer and soft drinks at a euro or two. A substantial cost of a skiing holiday can arise before you even get there. 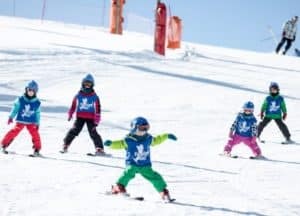 We would not dream of suggesting you do not need that new ski jacket but there is a case for a little more restraint in the case of children who persistently outgrow skiing clothes and equipment in a season or two. A little sharing amongst friends can save more than enough for some very nice mountain lunches. We find too that visits to outlets such as TK Maxx often turn up money-saving bargains on last season’s designer gear – often really good for children’s gloves and goggles. Experience tells us that the difference between a very good and mediocre lunch often has more to do with the choice of restaurant than the size of the bill. When it comes to lunch our advice is to search for value and quality rather than rock bottom prices. 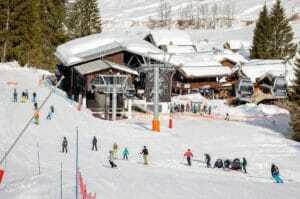 Restaurants off the beaten track, not on major cross roads often work harder for their busines on the slopes. For example there are several restaurants in the Village des Chèvres just above Ardent that have excellent food at reasonable if not cheap prices; in Reberty the Les Menuires Valley in the Three Valleys is definitely the place for lunch, generally offering much better value for money than the Courchevel or Meribel valleys. In Les Coches local knowledge is key and here the Family Ski chalet guest comment books kept in all chalets really help as guests generously share restaurant tips – really helpful as chefs and menus change. When relaxing with a drink in the sun it is a good idea to distinguish the psychological and financial impact of the price of a beer – a large beer is about 1 – 2 Euros more expensive than a pint in your local pub – you would need a great deal of it to make a significant difference to the cost of your holiday. Some corners are just not worth cutting – especially with young children: long walks or bus rides of any length to the slopes, nursery skiing areas with difficult or multi-lift access, chalets and hotels on busy streets, child care that means one parent can’t ski, ski schools that put children off skiing, resorts with unreliable snow cover on the home run, children’s bedrooms out of baby monitor range – and the list goes on. 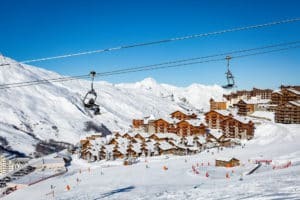 Even if the price looks initially attractive factors such as these can make a family skiing holiday very poor value for money. We have encountered all the above in our earlier skiing days and have taken a great deal of care to ensure you will not at Family Ski. Dedicated family operators have an impressive set up with inviting spaces for both inside and outside play, and all the relevant infant and child equipment to make life easy. 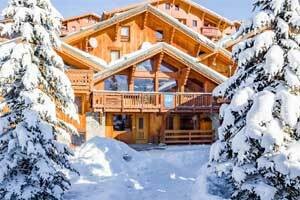 Even before you book the service should be tailored to your family’s needs and at Family Ski Company everyone you speak to will know the chalets and resorts and will offer honest advice. 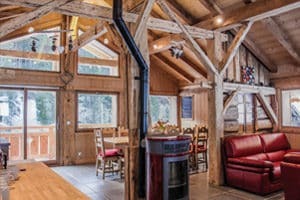 As a company we would prefer to make recommendations that suit your family and if we feel a chalet or room might not be perfect for your requirements we will let you know. The team in the UK office will also ask you lots of questions to give the staff in resort as much information as possible so they can give you the best holiday possible.